EMBA classmates Bianca Gonzalez, NU’08, WG’19, and Janak Agarwal, WG’19, pooled their experience and their resources and launched a venture to combat inefficiencies in the health care system. 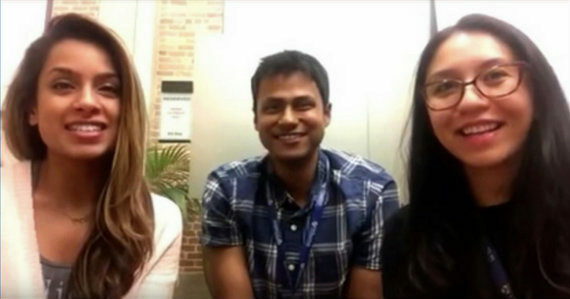 Bianca Gonzalez, NU’08, WG’19, and Janak Agarwal, WG’19, both came to Wharton’s MBA Program for Executives in San Francisco to explore their interests in entrepreneurship. As they got to know each other through their learning team, they discovered a mutual interest in improving inefficiencies in health care. A nurse practitioner, Bianca has experienced the challenges of ineffective communication and care coordination among clinical teams firsthand. Redundancy, missed tasks, and communication errors occurred regularly in her clinical practice and led to compromised patient safety and delays in care. Janak knew about these challenges from his wife, a doctor who has faced similar operational issues and now works at a hospital known for applying lean principles to clinics to reduce waste and improve efficiency. It’s part of a nationwide problem. Inefficient health care delivery and unnecessary medical services account for 44.5% of all financial waste in U.S. health care, according to estimates from the Institute of Medicine. In addition to the cost, poor care coordination among health care providers also results in poor quality outcomes for patients. Janak and Bianca decided to launch a venture to help tackle the problem. They teamed up with Bianca’s colleague Mythri Papolu to develop a mobile and web application that works with integrated sensor-enabled devices to track and communicate tasks in real-time among health care providers and provide meaningful analytics to clinics and hospitals. A lead software engineer with a proven entrepreneurial track record, Janak brings his technological skills to the startup, complementing Bianca’s clinical expertise and Myrthri’s experience in enterprise sales strategy. Their goal is to provide clinics, surgery centers, and hospitals with real data to help them optimize staffing, reduce costs, and improve quality of care for patients. 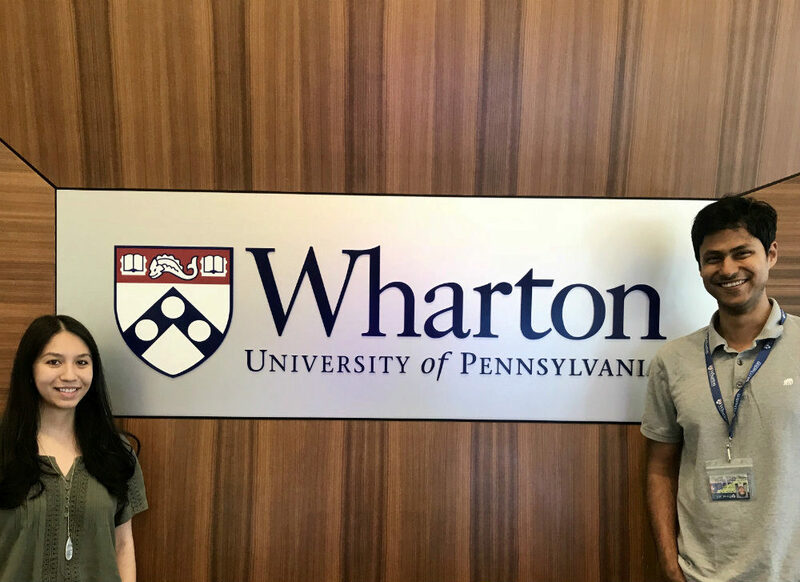 Bianca Gonzalez, NU’08, WG’19, and Janak Agarwal, WG’19, at the Wharton San Francisco campus. Their venture is already showing a lot of promise. They recently made it to the semifinal round of the Penn Wharton Startup Challenge, and they’re currently piloting their app in 15 hospitals across the country. They’ll collect data on how health care providers are using the product, which will help them prioritize and enhance their features and provide a cost-savings analysis on how the app could save users money. “It was very worthwhile coming to this program to learn about entrepreneurship. We’re getting great feedback from students, faculty, and alumni, and we are moving a lot faster on this venture than we would if we weren’t in this program,” he said, noting that the venture is funded by First Round Capital’s Dorm Room Fund. “Just about every class helps us to structure and refine ideas,” Janak said. For example, their accounting and operations classes have helped them think in terms of cost advantage. “Hospitals traditionally use bundling to estimate costs each year, which can be off by millions of dollars. Other industries use activity-based costing, where each activity has a cost associated with it. Our app brings activity-based costing and revenue restructuring to health care,” said Janak. “I came to Wharton’s EMBA program because I knew I would learn the business skills needed to strategically grow my own startup,” Bianca said. She is taking an entrepreneurship elective with Prof. Ethan Mollick, and learned a lot from Vice Dean of Entrepreneurship and Innovation Karl Ulrich’s course on the Design of Web-Based Products and Services course. Several teams from the Design of Web-Based Products and Services course entered the Penn Wharton Startup Challenge, which strengthened their prior connections. “We were able to pick up where we left off in class to share advice and feedback on each other’s ventures,” said Bianca. The competition also helped them plug into Penn’s thriving entrepreneurial community. “Talking to the other teams, we shared information about investors and discussed possible synergies like bundling services. There were over 30 startups participating, and we were able to meet all the founders in a very supportive and collaborative environment,” Janak said. They also received useful feedback from the competition’s 20 expert judges who hailed from companies including King Circle Capital, Karlin Asset Management, The Charian Group, Monetate, ExamWorks Group, and OraSure. They were scored on six categories: idea, product/service, preparation for launch, execution plan, traction, and team. In addition to gaining more business knowledge, Janak came to the program to widen his network and meet potential cofounders. “We have a lot of doctors and consultants in the health care area in our class as well as veterinarians. It’s great to run our ideas by them and talk about how they can benefit from our product,” he said. Several classmates are currently piloting their technology, including a veterinarian and an orthopedic surgeon. Alumni have also been supportive, as the team received VC-backed capital through a Wharton alumni fund. “Having the Wharton name and network behind us is very valuable,” said Janak. Clinical Trials Sub-Investigator at ProSciento, Inc.